I knew early on that my passion was filmmaking, and that I would do everything I could to be able to make movies one day. But, I never thought much about the practicality behind the dream. Rhys Kroehler was the 2017 JDogg scholar. In Fall of 2017, he began his studies at USC’s School of Cinematic Arts in Los Angeles. Rhys dove into film school with abandon in his freshman year! He learned more about working on collaborative projects with (less-than enthusiastic) teammates, to not do it all but rather motivate them to work together to deliver a well-received final project. He is also learning about the practicalities of filmmaking, and making connections with film professors and upperclassmen. In class, Rhys excelled at creating original content, even assisting other students and production groups in their own film development. He is not afraid to experiment with different types of media and genres. And though he excelled at comedy, Rhys also created stellar artistic projects. He often worked multiple roles on films, serving as everything from a writer to editor to cinematographer to director. Rhys was a 2017 graduate of Shorecrest High School. 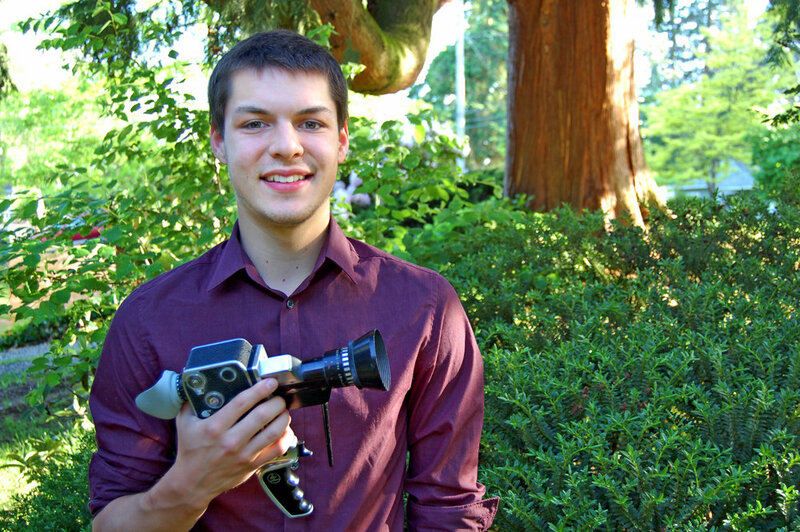 Rhys’ high school films won the 3-Minute Masterpiece Grand Prize at the Seattle International Film Festival, Awards of Excellence at the Northwest High School Film Festival, and an Official Selection of the All-American High School Film Festival in NYC. Rhys’ passion is to create stories that resonate with an audience and help to bring us all a little closer together. Bringing a camera to Mexico, he documented his time in Tijuana building houses for homeless families. In a recent film, Found, he dealt with the emotional struggle of a teenager whose experience of loss and feelings of isolation are echoed by many young people…and Rhys wanted to put something out there to remind us all that we’re not alone. Rhys has been instrumental in the success of the student newsshow both in front of and behind the camera for three years. Rhys has an exceptional attitude and is a great citizen of Shorecrest high school. His work ethic, maturity, and ambition will help him succeed in college. But it is his helpfulness and selflessness that will make him a huge asset for any program. Rhys enjoys making films because it allows him the ability, through a unique combination of stimuli, to create an emotional bond with the audience like no other medium can. In 2017, he made multiple PSAs discouraging teens from driving distracted. The radio ad he made played across the country through iheartradio. The film he made focused on young love, showing how easily it can be taken away in a moment of carelessness. Rhys hopes to continue making films that will attempt to catalyze change, but also entertain audiences.